This spring I came to my beloved Writing Group with a plan. I wanted a Summer Writing Retreat. Ooh, it's going to be amazing! There will be time to work all the kinks out of my manuscript and interact with some of my favorite people! Can you tell I've never been to one of these before? So, the ladies and I reserved a hotel near Park City, UT and began to plan. I'm mid-edit on Book Two and my goal was to make it much closer to the end. And hey, getting in several quiet hours of writing was very productive. Come to work. Bring your project(s) and have a personal goal in mind. (In case you're wondering, my goal was to make progress on my WIP and not to make everyone crazy.) If you don't think you can engage that long, have a back up plan like blogging, editing, world building, character development, etc. Leave time for fun. This may not seem important when you're on a business trip, but when you hit your goal--whether it's a time goal or a word count--you need to hit the town, hit the restaurant, or hey, hit the sack. I don't know about you, but I need a brain break after a long day of intense focusing. If the above picture doesn't express how well our weekend went, I don't know what will. We had an amazing time! It may not have been the most productive I've ever been--traveling all over for several weeks takes a toll--but I'm proud of the work I did. 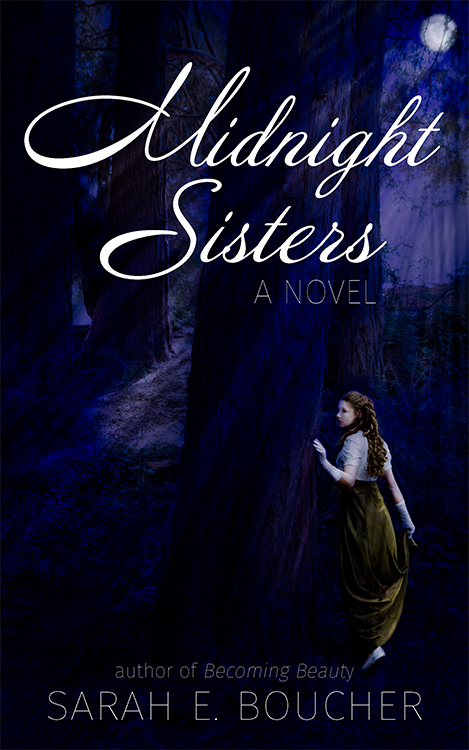 It's set me firmly on the path to polishing up Book Two for publishing later this year. And we're already thinking of what we want to do next year. Bear Lake for Writing Retreat 2017, anyone? Don't forget to pack your swimsuits and be ready for a Raspberry Shake break. Because that's totally happening. What are your thoughts? 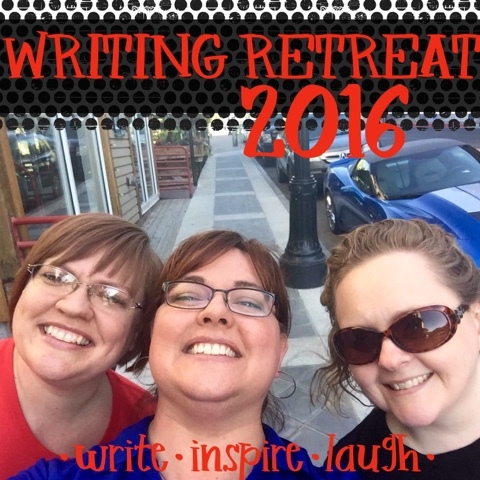 What type of Writing Retreats have you attended? Thanks for dropping by! 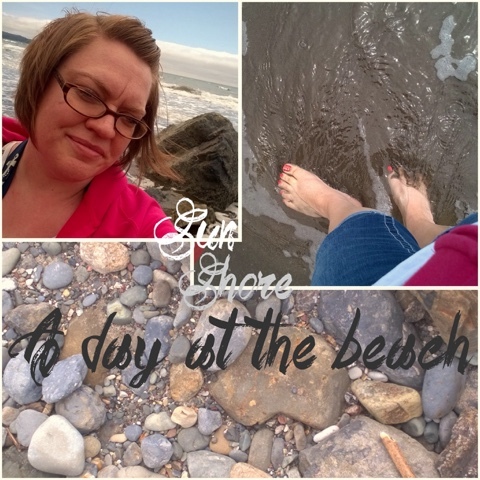 When I planned my trip to California, I didn't care what happened or didn't happen as long as I got my beach day. In June alone I finished the school year (i.e. 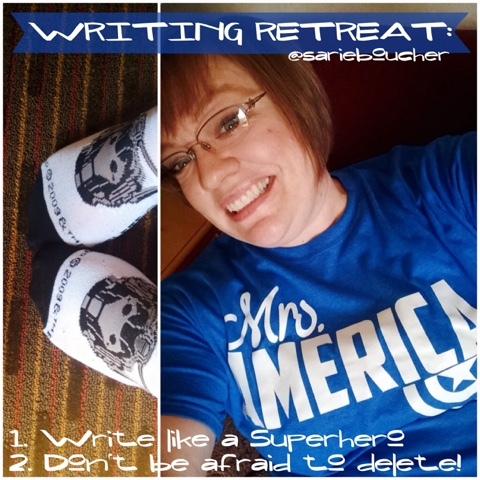 testing five-year-olds, something akin to teaching cats the polka), spent several days cleaning my classroom, flew to California for a whirlwind trip, and returned for an arts training, a roadtrip, birthday party planning for a friend, and finalizing the details for our upcoming Writing Retreat. That's a recipe for a big girl tizzy fit right there. Unless you figure a brain break into the scenario. 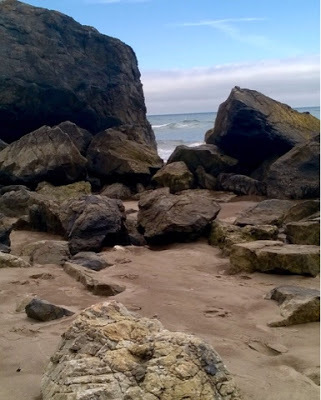 With the understanding that many of you are also dealing with your share of life's craziness, I invite you along on an afternoon trip to the California Coast. 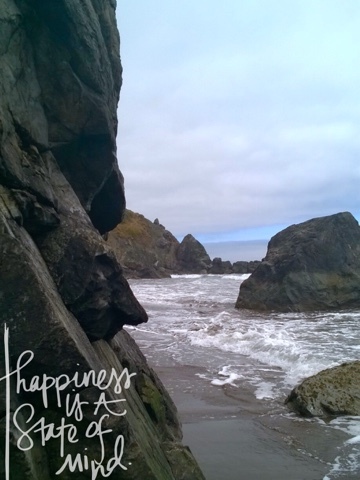 Our journey starts with a meandering trip down coast-hugging Highway 1. Only the daring--and those not prone to motion sickness--will follow it that far. 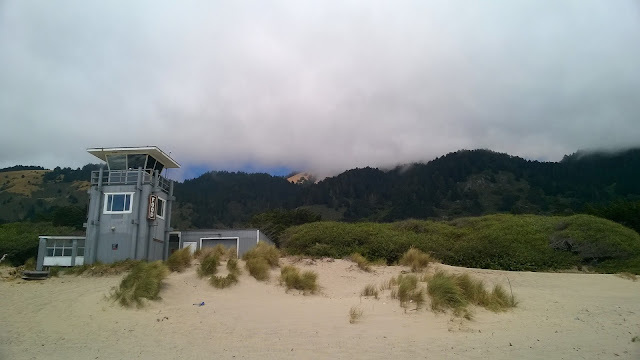 Stinson Beach is a public beach in Northern California. But because it's located well off the beaten path, it's rarely teaming with crowds. 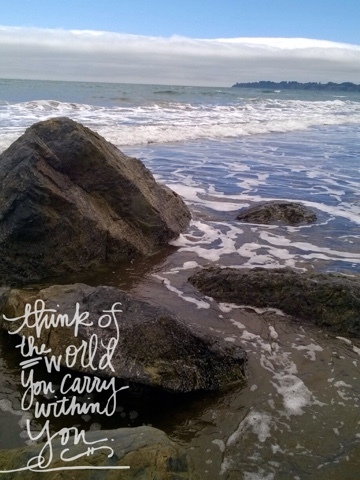 Feel free to dip your toes in the water, sit on the rocks, sunbathe, or simply drink in its beauty. Breathe in the peace, quiet, and joy. And just relax. It's not only a physical vacation, but a mental break a well. Couldn't we all use that? The gentle push and pull of the ocean as it rushes up and hurries off. 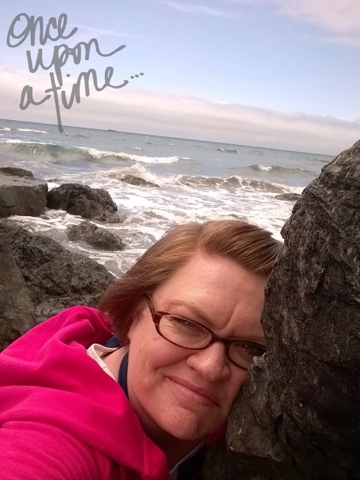 Whether you're in inland beach girl or and outdoorsy introvert, no one will judge you for excessive selfies, taking pictures of your feet, or just perching on the rocks and matching your breath to that of the ocean. Remember that no matter how ridiculous or stressful life becomes, we are a part of something bigger, grander, and more beautiful than we can comprehend. Because of that, we can survive all the ridiculous nonsense life throws at us. And live in quiet moments like these. Headed anywhere wonderful this year? I'd love to hear all about it. Leave me a message. And feel free to share what helps you live in the moment. 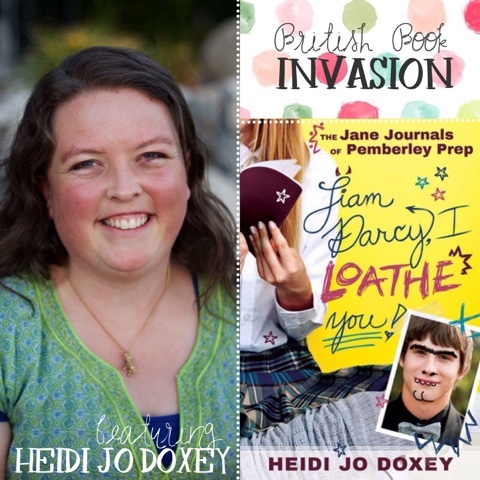 Would you like to read more of my travels? It's been a pleasure hosting so many writers this year. I've learned from each and every one. And I will certainly be doing this again! 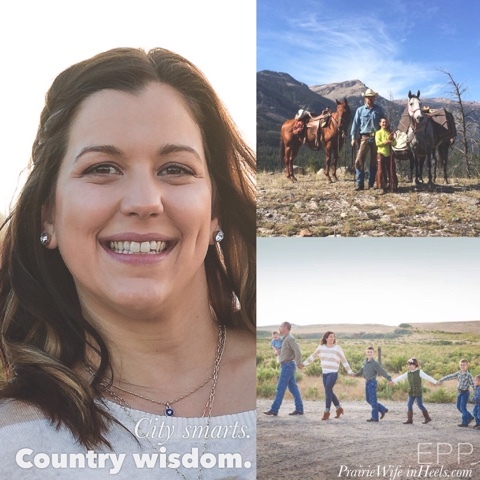 Brilliant mommy blogger Cathy from Prairie Wife in Heels shows there's no such thing as The Idyllic Country Life. (Especially with a houseful of little ones.) But when you're a City Girl turned Country Mama, there are ways to inspire and spread understanding in the world of women. 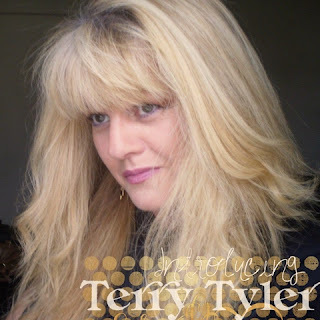 Rockstar Terry Tyler, who's an author, blogger, book reviewer, and about seven other super cool things, gives us a crash course on inspiration. And yes, when you write character-driven novels, you draw inspiration from life. Nutty strangers on the bus beware! 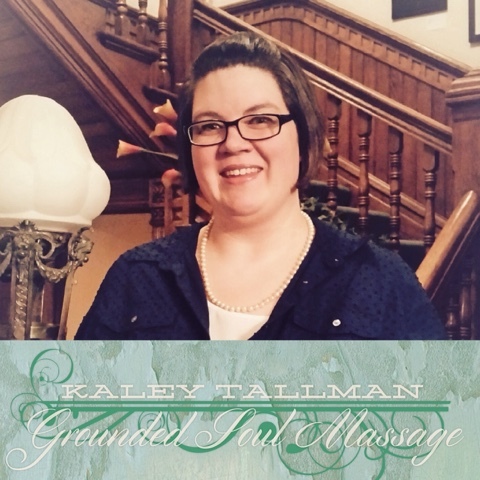 Wise words from blogger and massage therapist Kaley Tallman! Kaley urges us to abandon the comfort zone in favor of pursuing the good life. So get comfortable, grab your favorite beverage, settle in for a spot of inspiration, and get ready to make your life amazing! 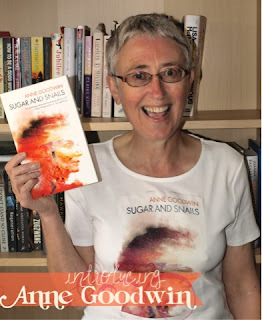 Avid readers turned writers? Yes please! 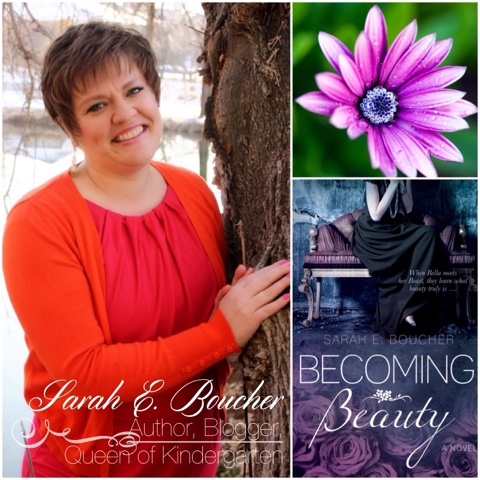 If you need a good read, this is the one to peruse! Heidi Doxey, editor, writer, and blogger, shares her favorite reads, which all happen to be by British writers. Like they do for her, they'll inspire you and keep the laughter flowing. Carol J. Hedges is one of my favorite people, even though we've never met. 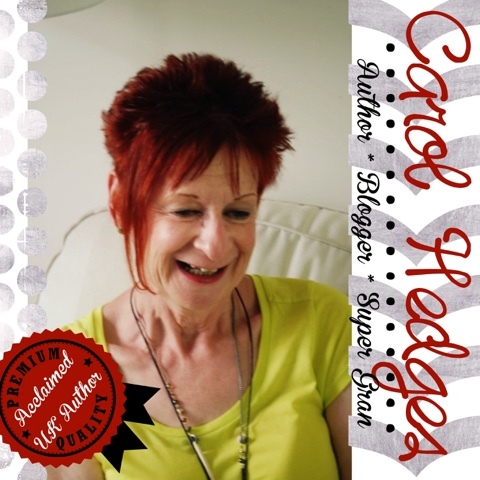 Mentor, author, and fashion savvy super gran Carol takes on the subject of the comments people make when they find out you're a writer/author. 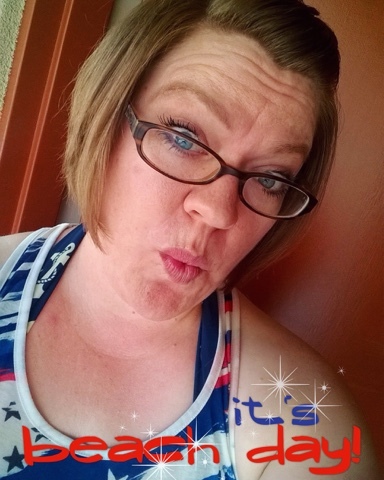 Carol will train you to handle it with grace and humor. 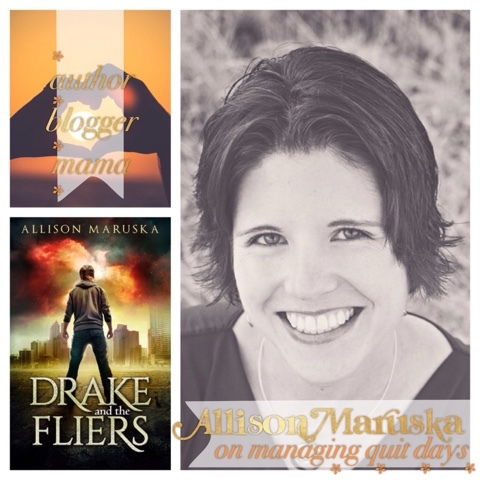 Awesome author, blogger, and mama Allison Maruska takes on the subject of Quit Days. (You know, those days when you want to throw in the towel and drown your sorrow in a package of Oreos?) How do you deal? Allison walks us through the steps back to sanity. Colleen M. Story, author, editor, and ghost writer takes on the subject of writers with (and without) personalities. 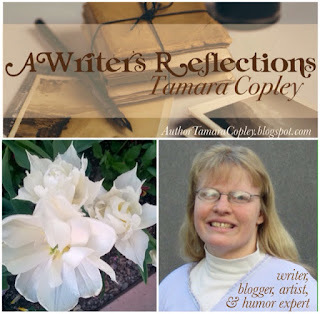 Tamara Copley has been writing and illustrating since the dawn of time. She shares her opinion on the importance of humor in writing. And the issues when humor is mishandled and/or badly done. Also, STAR WARS! Sarah E. Boucher (that'd be writerly, authory, bloggery me) chats candidly about the ups and downs of the writing world. It's all about finding the funny, my friends! And developing a sense of humor so we can laughing in life's face instead of crying into a carton of Ben and Jerry's. Our caboose Jenniffer Wardell brings up the rear! 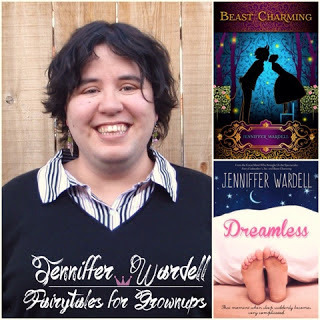 An accomplished fairytale romance writer, Jenniffer talks about humor, life, everyday heroes, and a new type of story that doesn't feature heroines with superhuman abilities. Sounds amazing. right? There you have it, friends! All the awesomeness in one handy place! Thanks for participating, ladies! Nothing but love for you! 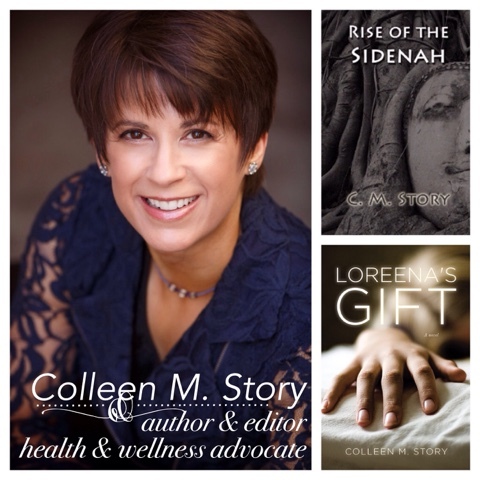 If you'd like to follow any of my featurees on social media, follow the link their posts. Happy internet stalking! A few years ago, I realized that everything in life revolves around connecting with others. Being there for them, doing your best to understand, carrying part of the burden they feel, and striving to not check out on a relationship. Lessons for life, right? Working for a purpose and all that. It wasn't until I entered the big, bad world of publishing and marketing that I had another epiphany. Business is all about connecting. In the business world everyone wants to feel valued and appreciated. And SURPRISE, they don't only want to feel heard during the sales pitch. They want to feel as if you are making an effort the entire time. 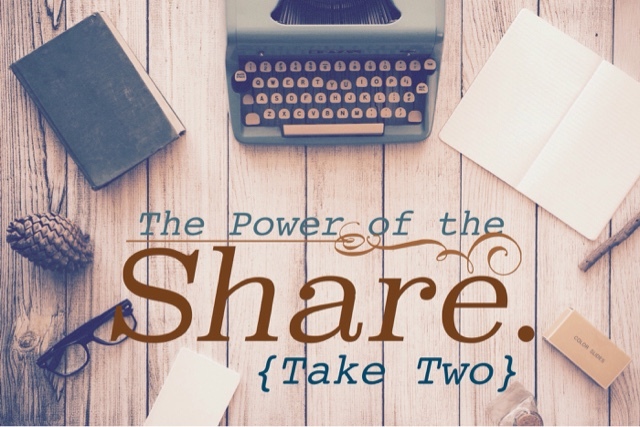 What does this have to do with the Power of the Share? The gist of that previous post was that sharing others (their content and what they do) lifts us as well. Have you ever had a truly horrible day and instead of cocooning yourself at home with the remote and a pint of Ben & Jerry's, you reached out to someone else and lifted them instead? Same basic principle. In lifting others, we lift ourselves. Increased page views. 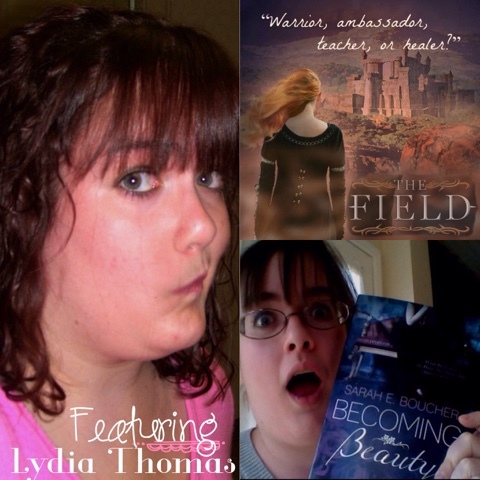 The degree of increase depended on the featured author and their popularity, how well written the post was, and how well the authors and I promoted the post on social media. Officially, the highest viewed posts to date are Humor & Inspiration featured authors, Terry Tyler and Carol J. Hedges. (Follow the links if you haven't already. Such funny gals!) Additionally, my posts written during the same period received move views than those of last fall. And that's just awesome. Better overall engagement. Post comments, and sharing and commenting via social media has more than tripled over last fall. Yes, tripled! That's pretty amazing. Drawing people to your website is one thing, but having them interact is another step entirely. It's that heightened interaction that makes me really excited. I think the reason for these trends is fresh content and writers promoting within their circles to engage new readers. 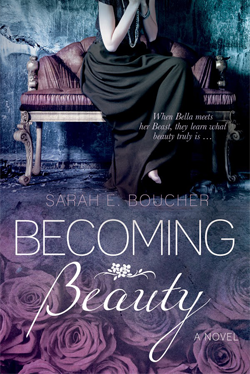 I noted the same phenomenon in working with the Cedar Fort team to edit my first book, Becoming Beauty. The quality of the work increased as skilled writers collaborated and offered the best they could to the project. And for this reason, I'll continue to invite authors to collaborate here in Twisted Fairytaleland, to share their stories, tips, and unique perspectives. Because, in addition to the increased engagement and page views, I always learn something from them. And I love that best. The Humor & Inspiration Features are at an end, but if you're interesting in being a future guest or you have an absolutely smashing idea for a new feature, please leave me a comment. Also, I'd love to hear how collaboration has helped you in your writerly endeavors. Tell me what you've learned on your journey!